Retirement from competitive play may be a shock to many athletes but in order not to be caught unawares, the International Olympic Committee (IOC) under the Athlete Career Programme (ACP) in collaboration with the International Table Tennis Federation staged a workshop for the participants on Saturday 3rd June at the Liebherr 2017 World Championships in Düsseldorf. The speakers were Germany’s Claudia Bokel, Athens 2004 Olympic Games fencing silver medallist and Croatia’s Zoran Primorac, Men’s Doubles silver medallist in partnership with Ilija Lupulesku at the Seoul 1988 Olympic Games. The workshop attracted 25 participants comprising players, coaches and administrators preparing for retirement. Claudia Bokel explained that the workshop was designed to prepare athletes using the three basic pillars of education, life skills and employment in order to execute the transition from sport to later life. “The IOC Athletes’ Commission identified during its first forum in 2002 that Olympians transitioning from elite sport face a unique set of challenges when pursuing a new career. The IOC Athletes’ Commission identified that supporting fellow Olympians during this time was a key responsibility of the Olympic Movement.” Claudia Bokel. Having recognised the value athletes bring to the labour market, Adecco Group, a global human resource firm, started supporting the athletes. 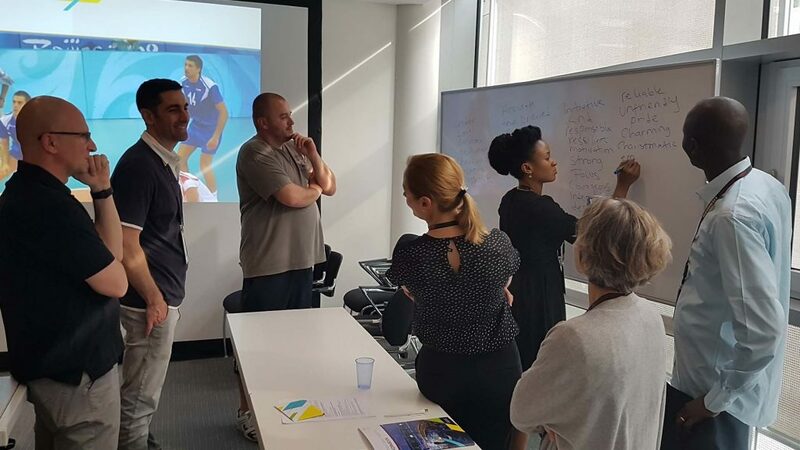 It prompted the IOC to partner the firm in bringing experts from the employment industry to assist the Olympic family and build a comprehensive programme to support athletes in transition. The participants were taken through, the essence of the training as well as the need for athletes to balance sports, education and career. Later in the meeting Zoran Primorac took the participants through a rigorous personal assessment. He explained that sport teaches essential skills that cannot be learned in schools or anywhere else, adding that such skills can enhance other areas of life. He said the training was also aimed at making athletes employable after retirement. Notably present at the meeting was Thomas Weikert, ITTF President; he expressed optimism that the training would help athletes prepare well for their lives after sport. He pledged ITTF commitment to athletes’ welfare, the concept being a focus of his administration. The workshop was organised under the auspices of the ITTF Education, Development and Education and directed by Professor Miran Kondric PhD, the Chair of the ITTF Sports Science and Medical Committee.